Dubai is an incredible city with a lot of opportunity and it also has a lot of beautiful spots for pictures. Here’s some of the most iconic instagrammable spots in the city that you must see. It’s the tallest building in the world (for now because they are building a new tower in Dubai for 2020), the view is just incredible and I recommend buying a ticket to go to the 148th floor to get a picture and have the place to yourself. The only 7 stars hotels in the world! Its shape like a sailing ship is so gorgeous and unique, you absolutely need a picture with this impressive building. Dubai also has 2 aquarium but the most impressive one is at the Atlantis. The Atlantis is an hotel/waterpark/aquarium, it’s a beautiful place to visit and it’s located in the Palm. The Madinat is an indoor souk surround by little canals. The architecture is very antic and beautiful, and it’s close to Burj Al Arab so you can have a view with it on the boat tour. The Palace Downtown is a hotel close to the Souk Al Bahar & Dubai Mall and it’s located just in front of Burj Khalifa. The entrance of the hotel is one of the most photogenic view of the tower. The desert around Dubai has so much to offer. You have so many pictures opportunities : hot air balloons, on a jeep ride, or at the night camp. The Shangri-La might be one of my favorite hotel and they have an amazing view of Burj Khalifa. See more about the hotel on my review here. A must do in Dubai is also to spend a day relaxing at a private beach. The view at Jumeirah Beach is very beautiful with the all the building behind. The Old Town isn’t my favorite part of Dubai but it’s still a nice place to visit to see another atmosphere of the city. You can walk around in the souk but the best spot for pictures might be this little tea house. One of the most colourful and incredible place you can see in Dubai. The garden is close during the summer because of the temperature. A walk through wonderland 🌷🌻🌸🌹🍄 Tag someone you’d want to go here with! 🐛🦋 – The Dubai Miracle Garden is the world’s largest flower garden, and has over 45,000 different types of flowers in all different colors, shapes and styles and in total there are over 100 million flowers planted. 🌳🍃The flowers are watered using excess waste water from the city of Dubai.🧚🏼‍♀️💧 – I thought this place was definitely cool, but super touristy and we really didn’t stay for too long. 🤷🏼‍♀️🌷🐝🐞🐛 I felt like I was Alice in Wonderland. 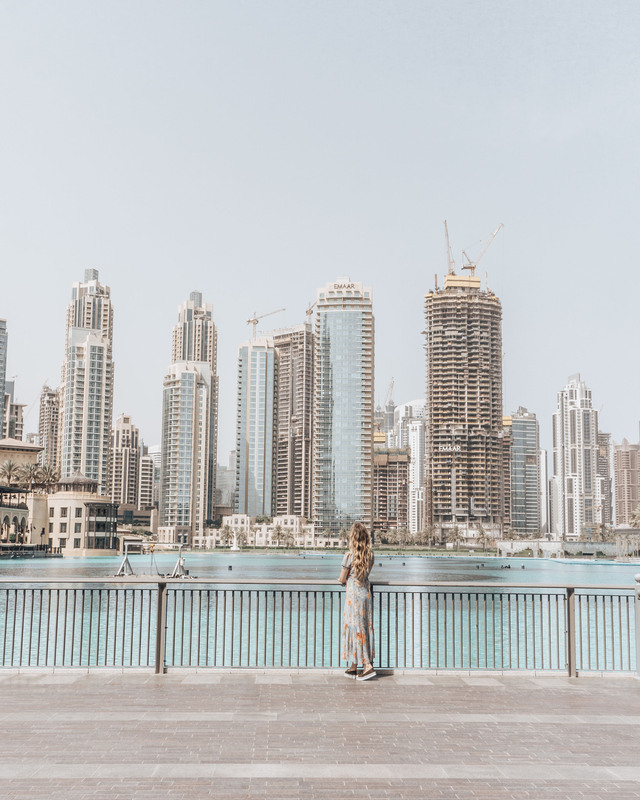 If you’re looking for more spots, I recommend to visit La Mer, which is a new area of Dubai with the beach and a lot of street art, and the Marina another very busy area of the city.